AC Electric Volkswagen Conversion, maybe? What AC motors do you recommend that I look at? 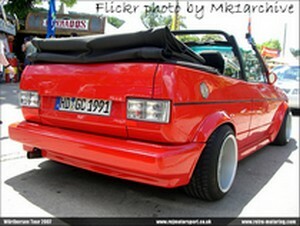 I just got my convertible VW and am ready to start my winter project for next summer. You'll want a three phase induction AC motor for your convertible. You can find them at Metric Mind or Electro Automotive. Depending on which VW model you've got, Electro Automotive might just carry a custom conversion kit for it. How convenient is that? ?